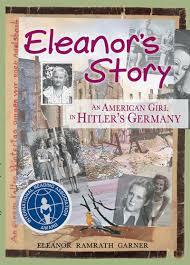 “Eleanor’s Story: An American Girl in Hitler’s Germany” BY Eleanor Ramrath Garner details the daily struggles of growing up as a young American in World War II Berlin. NOW ADAPTED INTO A ONE-WOMAN SHOW BY HER GRANDDAUGHTER INGRID GARNER, The book is a powerful piece of history, more relevant than ever. ABOUT THE BOOK: During the Great Depression, when she is nine, Eleanor’s family moves from her beloved America to Germany, where her father has been offered a good job. But war breaks out as her family is crossing the Atlantic, and they cannot return to the United States. Eleanor tries to maintain her American identity as she feels herself pulled into the turbulent life roiling around her. She fervently hopes for an Allied victory, yet for years she must try to survive the Allied bombs shattering her neighborhood. Her family faces separations, bombings, hunger, the final fierce battle for Berlin, the Russian invasion, and the terrors of Soviet occupancy. This compelling story immerses readers in the first-hand account of surviving World War II as a civilian. It’s a story of trying to maintain stability, hope, and identity in a world of terror and contrasts, and it puts a very human face on the horrors of war, helping readers understand that each casualty of war is a person, not a number.